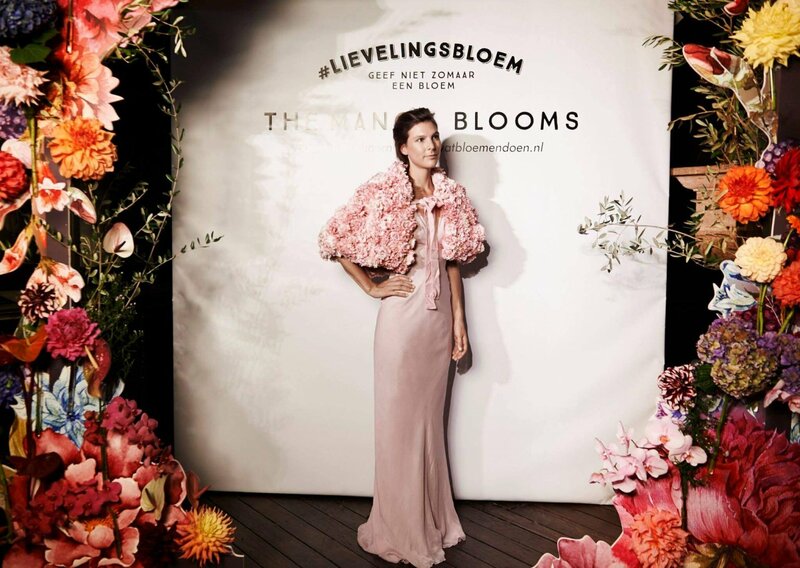 Mooiwatbloemendoen.nl held a special presentation of fourteen vibrant couture creations by Edwin Oudshoorn in collaboration with The Wunderkammer. 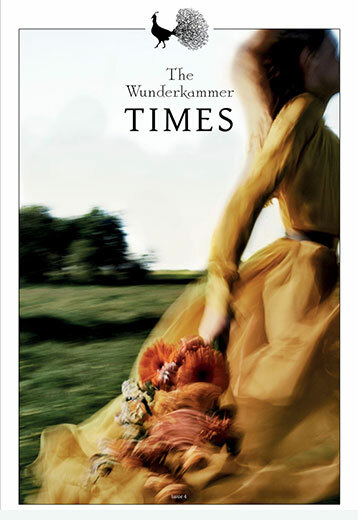 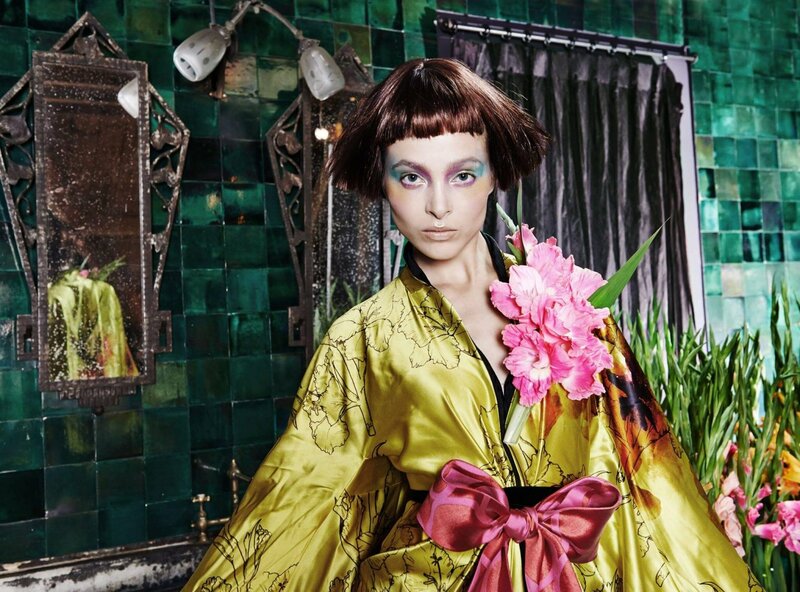 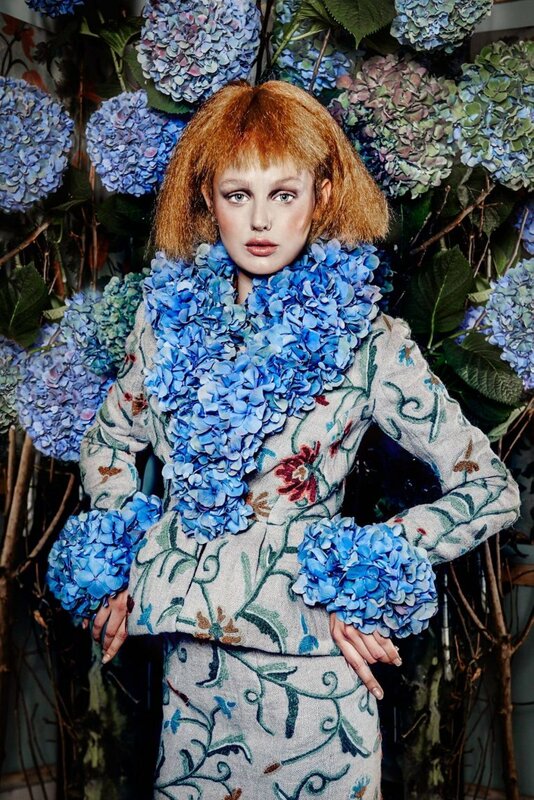 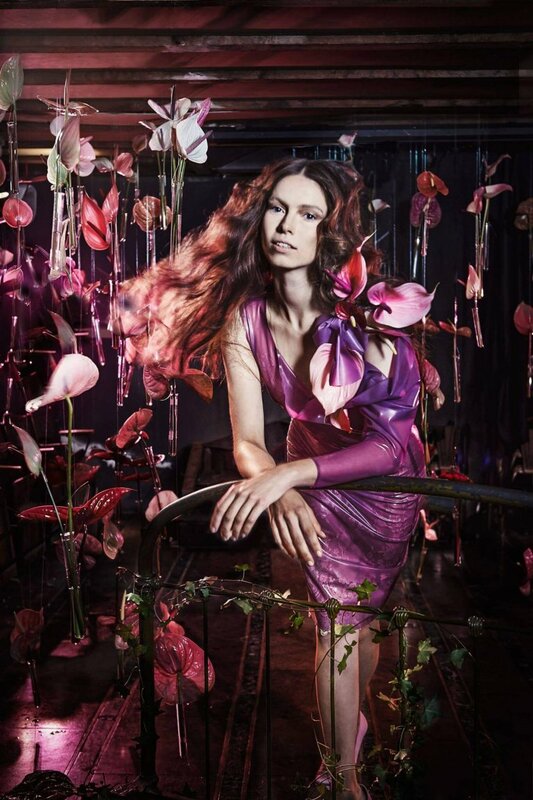 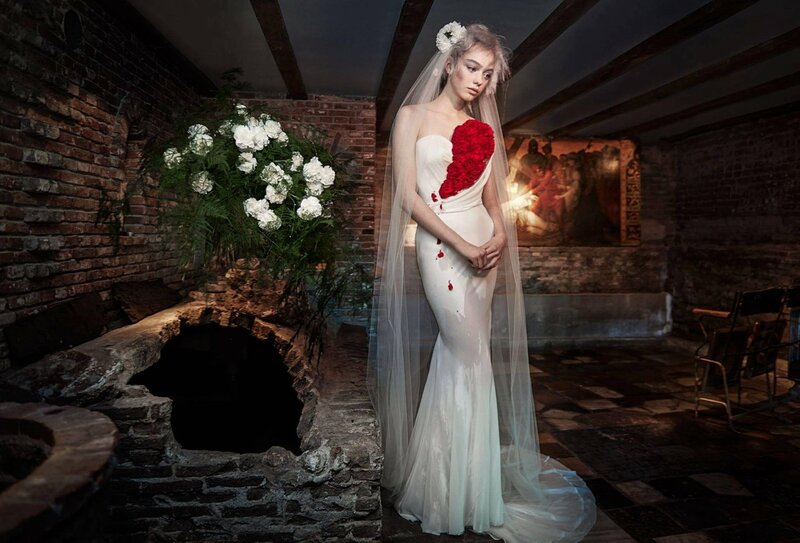 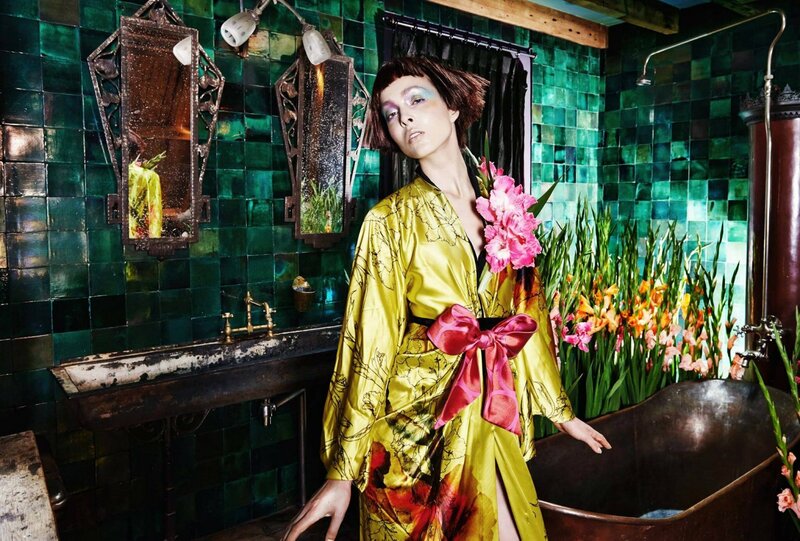 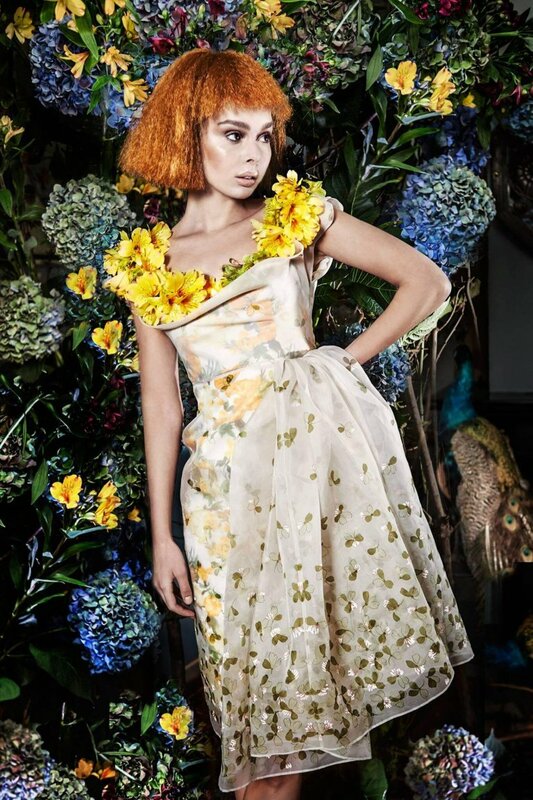 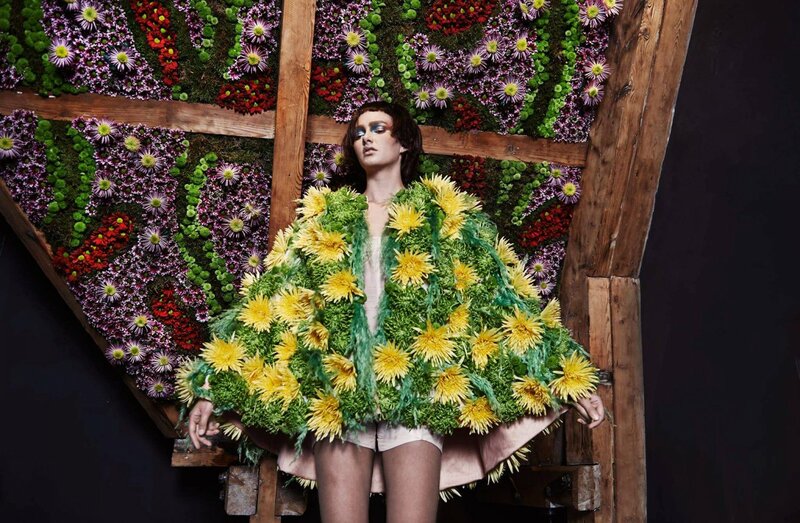 The collection was based on fourteen Favourite Flowers and presented in a private mansion in ‘t Nes 116. 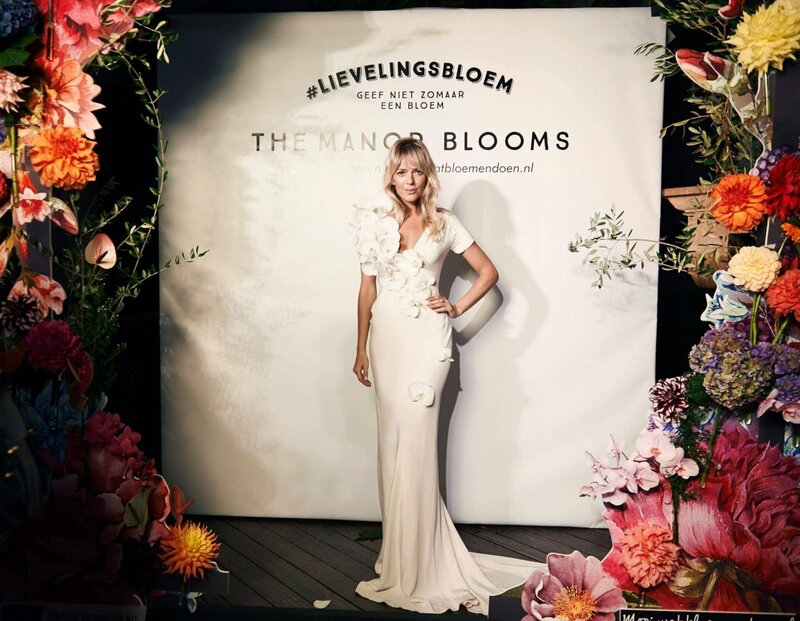 The Manor Bloomed: in each area of the mansion there was another creation and flower to discover. 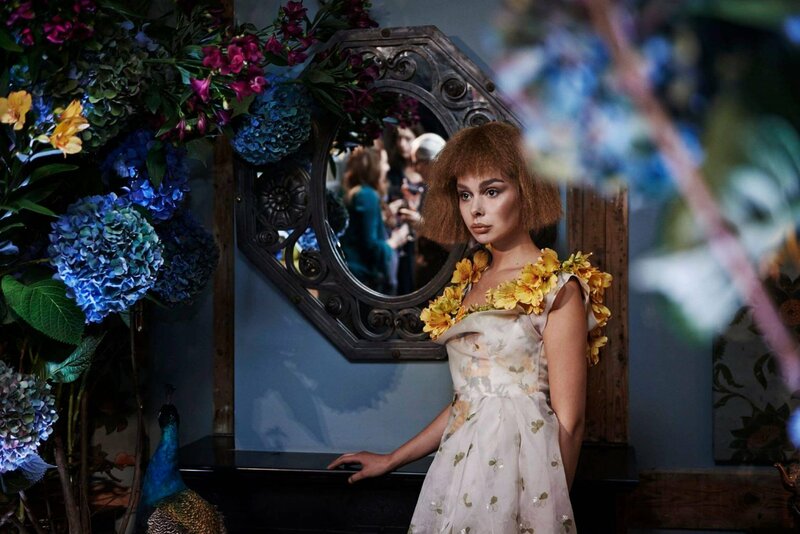 A salon full of Gerberas, a bleeding bride at the tomb of the chapel, Gladiolus around a copper bath and an Alice-in-Wonderland tea party; all seven spaces unfolded piece by piece to the moving audiences. 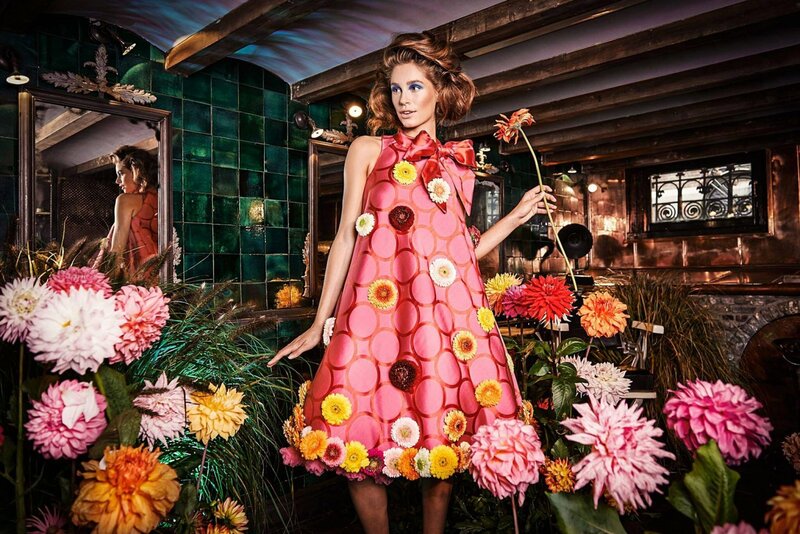 Zazi, a renowned musical trio, was dressed in three different creations of Edwin Oudshoorn and played acoustic songs in the last room of the house. 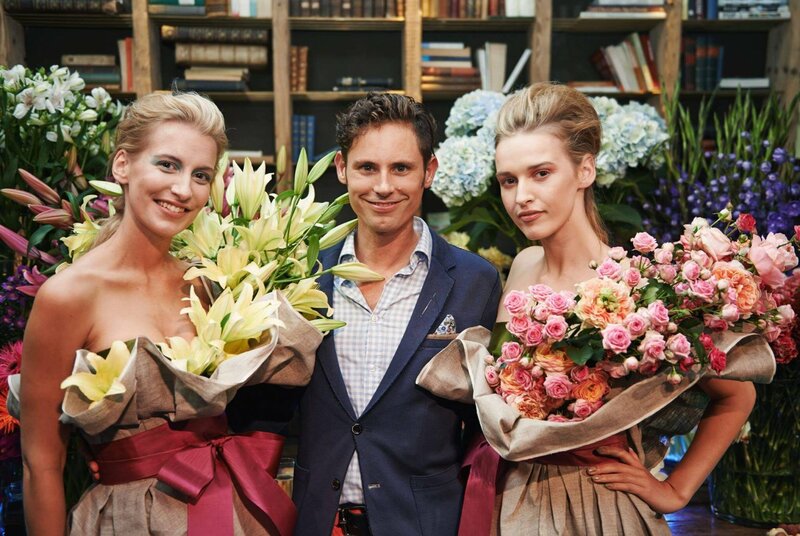 All guests were given their personal favourite flower after the show. 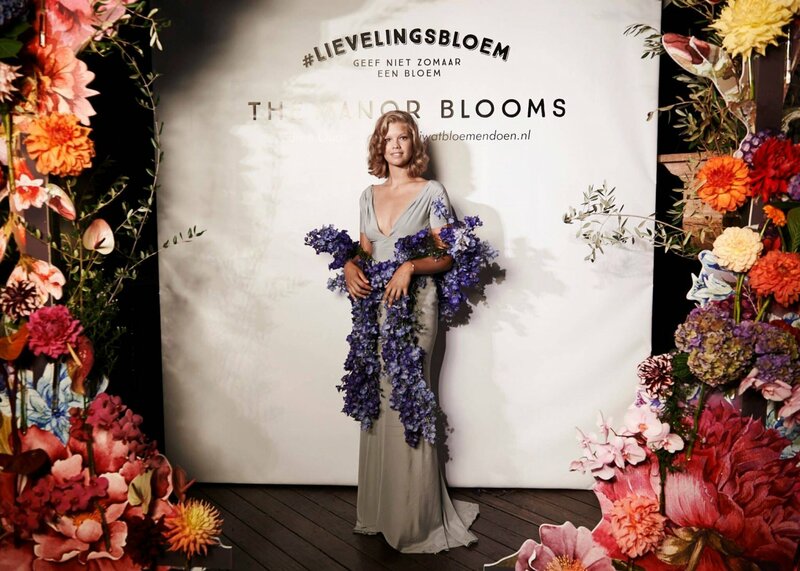 THE MANOR BLOOMS, a show of flowers in the form of a tableau vivant, marks the start of the ‘Lievelingsbloem’ campaign of Mooiwatbloemendoen.nl.